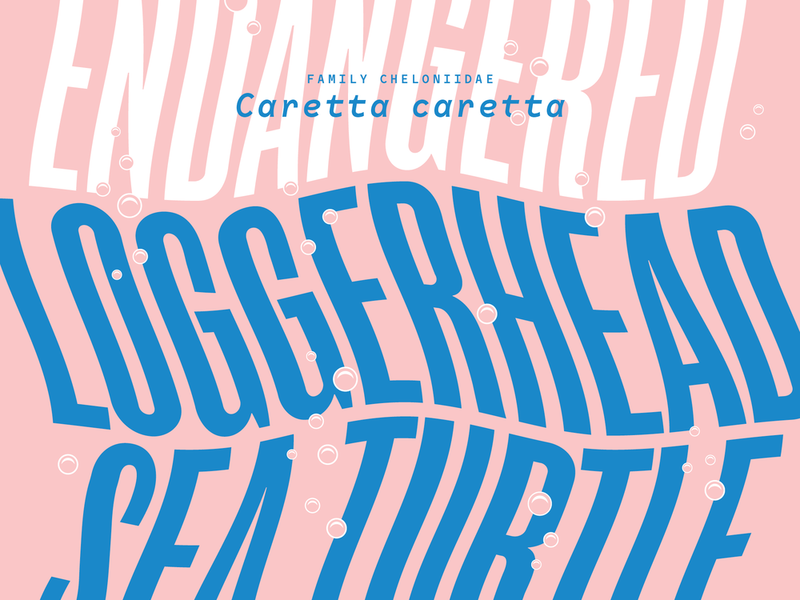 For Typehike's third series, ALPHABEAST, I was asked to create a poster for the letter L – the Loggerhead Sea Turtle. The design was inspired by the tranquil temperament of the marine reptile and the warm colors of a sunset out over the ocean. The Typehike Alphabeast series was archived in the Library of Congress alongside NPS100 and Shores. All proceeds from the Alphabeast poster sales are donated to Defenders of Wildlife. For TypeHike's third series, Alphabeast, I was asked to contribute a poster for the letter L – the Loggerhead Sea Turtle. All proceeds from the Poster sales go to Defenders of Wildlife.